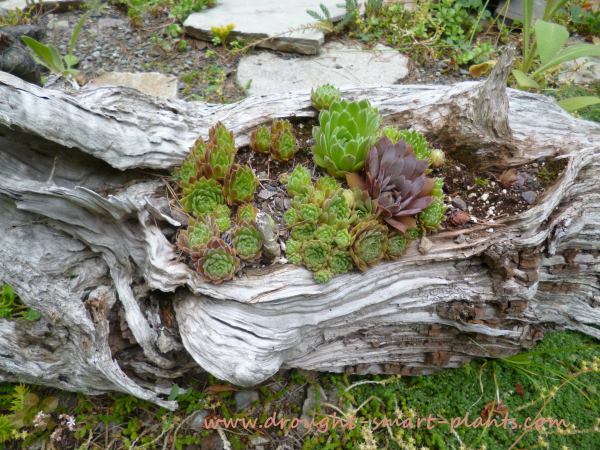 Root planters made from tree stump pieces with intricate natural grafts of roots can make the most interesting rustic focal points. The best are weathered from years of sun exposure and snow falls, or driftwood salvaged from a beach after a storm. Twisted, gnarled, the more weather beaten, the better. Once you see that patina that only nature can provide, you'll be hooked. Sometimes they have rocks firmly embedded as the roots have grown around them. 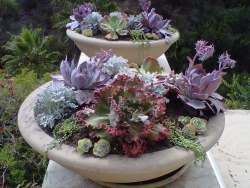 Train your eye to be able to see planters made of roots, as sometimes they’re partially covered with soil or fallen leaves. Look in burn piles where the slash is heaped to be burned after logging or land clearing and you’re sure to find some interesting natural planters. The beach of a lake or on the river is the best place to look - these will be clean and ready to go. Finding the twisted pieces of driftwood on an ocean beach requires one more step - rinsing off the salt. If you don't feel the urge to plant it immediately, just leave it out to get washed by the rain, or, use the garden hose to get it cleaned. Most plants are sensitive to salt, so it has to go. 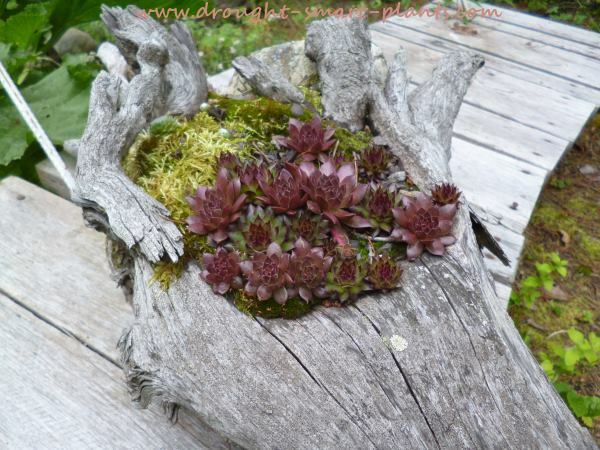 Planted with Sedum and Sempervivum or moss driftwood roots outshine the common and usual planters and containers for succulents. Nature has a way of making the mundane beautiful, and what could be better than a found object that is also useful? Found in the bush on a hike or firewood gathering expedition, root planters sometimes require some work to get home. They’ll be worth it, as they are unique and very different. Sometimes a root piece has a hole right through it, so you will have to put a wire insert into it to hold soil and plants. I use hardware cloth, or plastic mesh which has 2cm holes, but you can also use chicken wire. I use either old recycled soil which is usually Sunshine mix; or organic soil with the addition of compost. Click to Tweet: Got Twisted Driftwood? 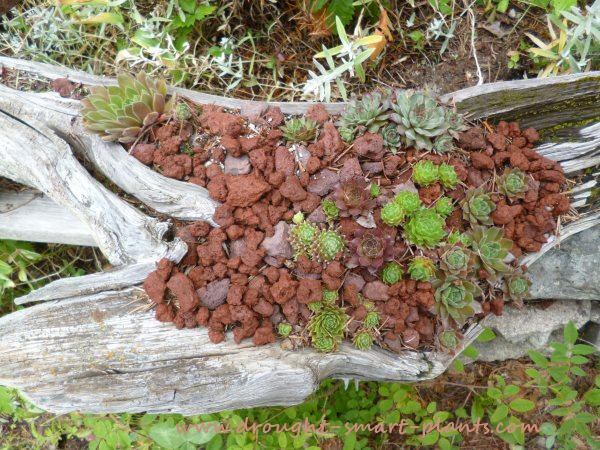 Make a Root Planter for Your Succulents! 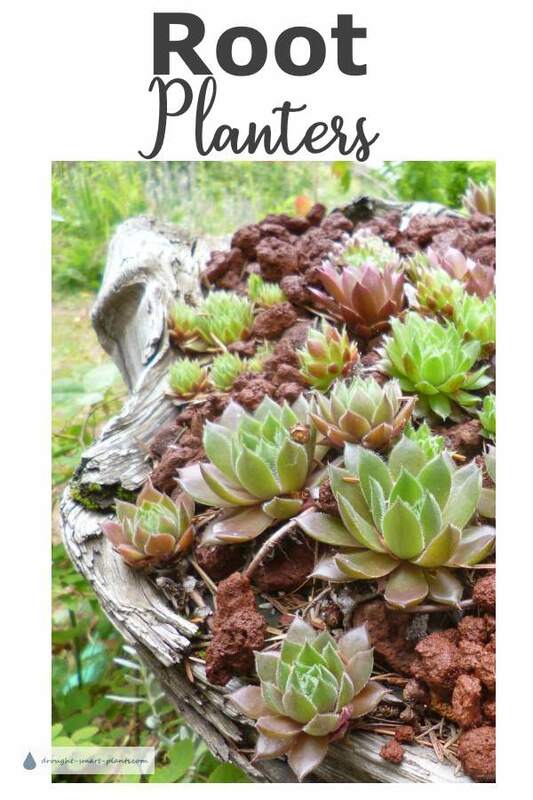 Plants to go in a root planter by definition have to be drought tolerant – I’m partial to Sempervivum, Jovibarba and Sedum for these, but you can use other plants, even annuals. Keep in mind that they won’t likely have much soil, so need to be watered every day if using annual plants. In the fall, put the root planter with all its inhabitants on a bed of leaves to safely overwinter the plants. Root planters are a lesson in thinking outside the box, and I’ve been amazed at what nature provides for me to have fun with.